TheMediagoon.com: Islanders bid to build new arena in Belmont NY accepted. Islanders bid to build new arena in Belmont NY accepted. As a Rangers fan I am glad for the Islanders Fans. They needed that team to get out of Brooklyn. Brooklyn a place that they should have never, ever have moved to. The Barclays Center wasn't made for hockey. When it was being built the developers even said it wasn't "ever" designed for hockey. Congrats to the Isles and their fans. The Islanders’ bid includes an 18,000-seat, year-round arena that would host 150 events annually as well as 435,000-square feet of space for retail, a hotel with 200 to 250 rooms and a 10,000-square foot “innovation center” that would be developed with resident input. 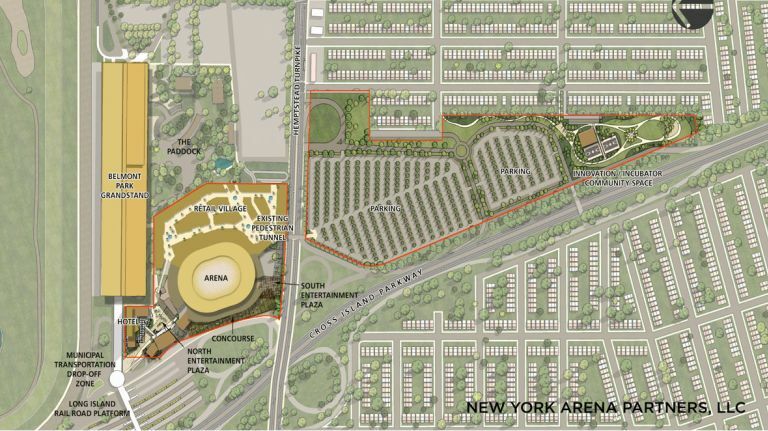 The Islanders partners in the development include Sterling Project Development, a real estate firm run by the Mets’ Wilpon family, and Oak View Group, an arena development company partially funded by Madison Square Garden. If you are boycotting the Mets because of the Wilpons, do you boycott the Isles also because the Wilpons are partners in the new arena/development in Belmont?